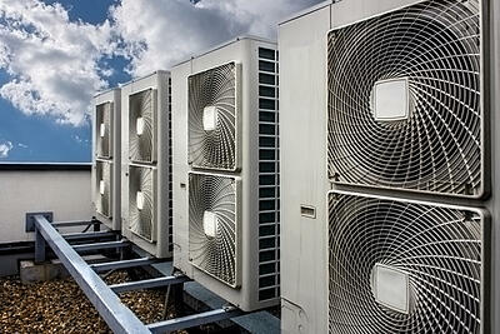 Summer is now in full swing and as the temperatures rise, so do costs related with cooling. High temperatures requireHVAC systems to work overtime to keep indoor temperatures stable as the mercury outside rises. As a result, businesses tend to see their electric bills go up during the summer months due to the increased consumption. So how can businesses keep their summer electric bills in check? Implement cloud computing! In-house server rooms require a lot of air conditioning and ventilation to counterbalance the high heat output of the servers. And unlike workstations that can be turned off when not in use, servers need to remain on at all times, which mean they require 24/7 cooling. By moving from in-house to a cloud provider, businesses can drastically reduce their energy costs. A server room has servers, network switches, and other hardware components that draw a lot of electricity to run. Moving from internal servers to cloud servers, businesses eliminate the need to power the server room. Instead, operation costs become the responsibility of the cloud service provider. Without the server room creating a large percentage of the monthly utility bills, businesses get to enjoy lower electric bills each month. In addition to the costs associated with running servers and other hardware, server rooms require an immense amount of air conditioning to maintain a consistent temperature. Hardware such as servers, workstations, and firewalls all emit a certain level of heat output. To keep systems from overheating and shutting down, server rooms need to have ample air circulation and cooling. During the summer months, the HVAC systems work harder to keep the server room and the rest of the office cool. Plus, HVAC systems also have additional costs associated with system maintenance and cleaning. When the air conditioning goes into overdrive in the hot summer months, it often requires an increased investment in regular maintenance. By moving from servers inside an organization to the cloud, the HVAC system then only needs to work on cooling the office which reduces strain and drain on the cooling units. One could argue that though moving to the cloud does reduce internal electric and cooling costs but these costs only return in the form of the monthly cloud subscription. While moving to the cloud does result in a monthly bill, it a fraction of what it costs to purchase, maintain, power, and cool hardware in-house. With cloud computing you only pay for what you need. Instead of powering and cooling servers that may only be partially utilized, the cloud model only charges businesses for the computing space used. If a company regularly uses a consistent amount of cloud computing space, then you can better budget for IT costs each month, whereas these costs will fluctuate from month to month based on energy and cooling costs. So with the cloud, even during the midst of a heatwave which require an immense amount of energy to maintain normal temperatures, your business won’t be handed an exorbitant electric bill at the end of the month.